Cold weather old west coats kept the men of early America more comfortable. 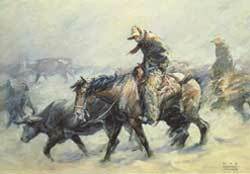 Whether their work kept them in town or out on the ranch, they would wear a well-designed garment to protect them from bad weather. Meticulously crafted to keep out the dust, damp, cold and rain, many different versions of a Ranch Coat were styled to suit the needs of the men who wore them. To wear them today is to buy from a company that specializes in historical Old West wear. 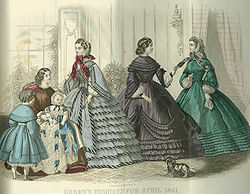 During the late 1800s, women took their fashion seriously and for many reasons. For some women, the struggle to get fabrics and other necessities for dressmaking was challenging. For others, being too far from their home country and dress resources made staying in style a difficult task.